Recently at The Roanoke Times, I helped out with a big retrospective feature we put together about the flood the happened in Roanoke 25 years ago. 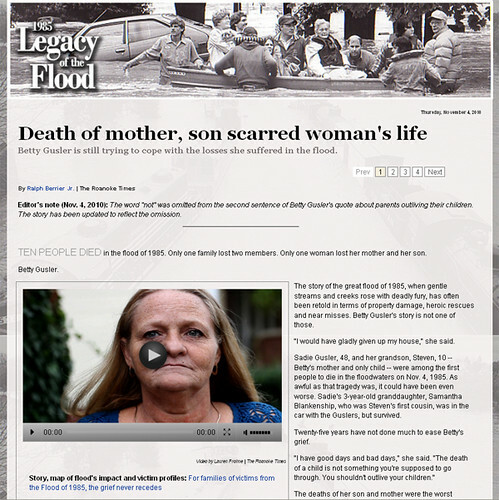 The paper had of course done features, even multimedia features, about the flood in years past, but we wanted to create a kind of living oral history for the community. It’s one of those things that everybody has a story about, where they were, mishaps, close-calls and we wanted to give people a chance to share those stories, through written letters, pictures, audio stories, and videos. I produced four audio stories and two videos for the feature as a way to inspire people to call our phone line and leave messages with their stories. 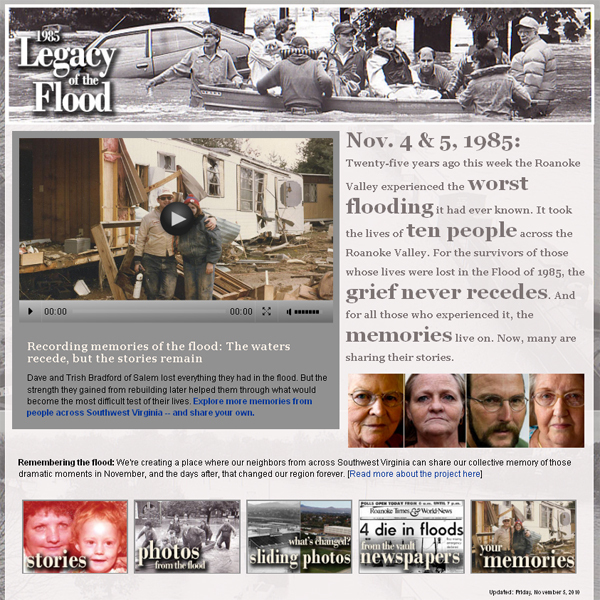 Also check out the whole Legacy of the Flood feature which has archive pictures of the flood and rescues as well as the clean up and relief that went on for months, audio and video stories, old newspaper e-readers, an article about the 10 people who lost their lives, and interactive then & now pictures.